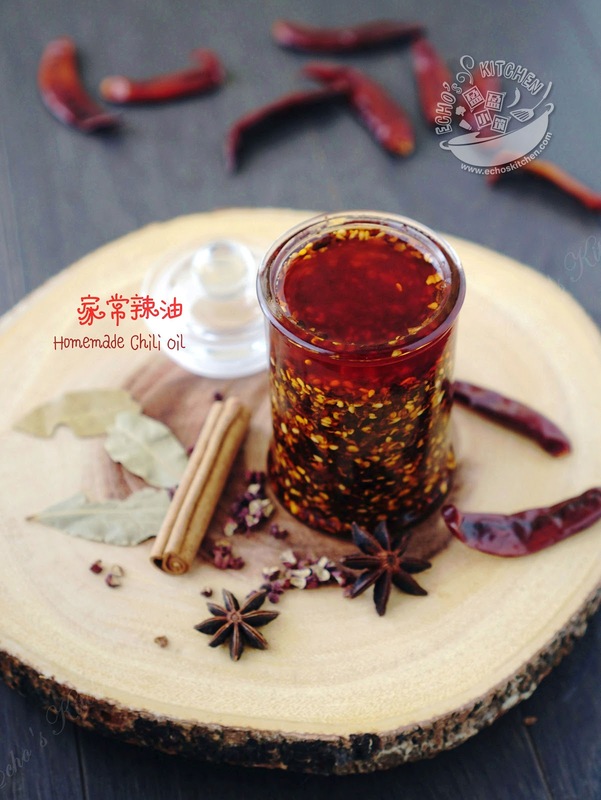 I like to keep a bottle of this homemade chili oil at home, adding a spoonful to any noodle dishes makes it taste much better. 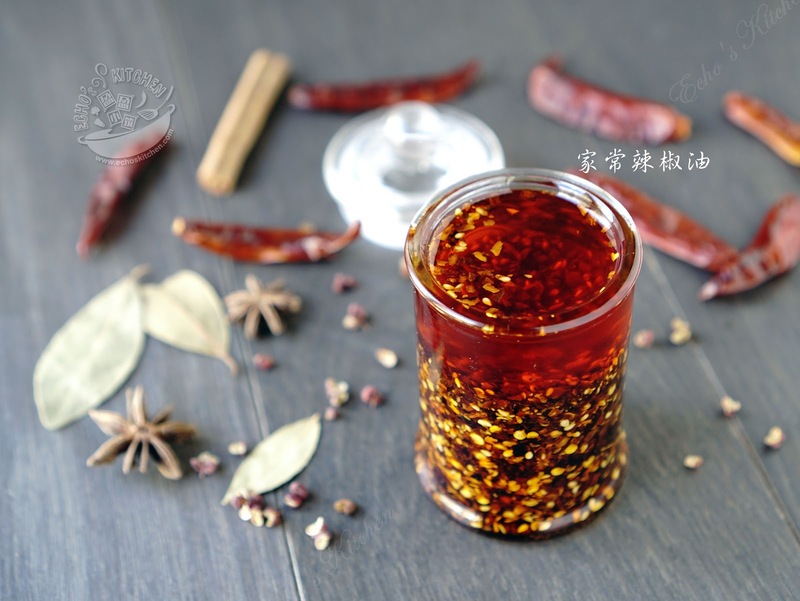 It is also an essential ingredient for Jiaozi/Chinese dumplings dipping sauce. 1. 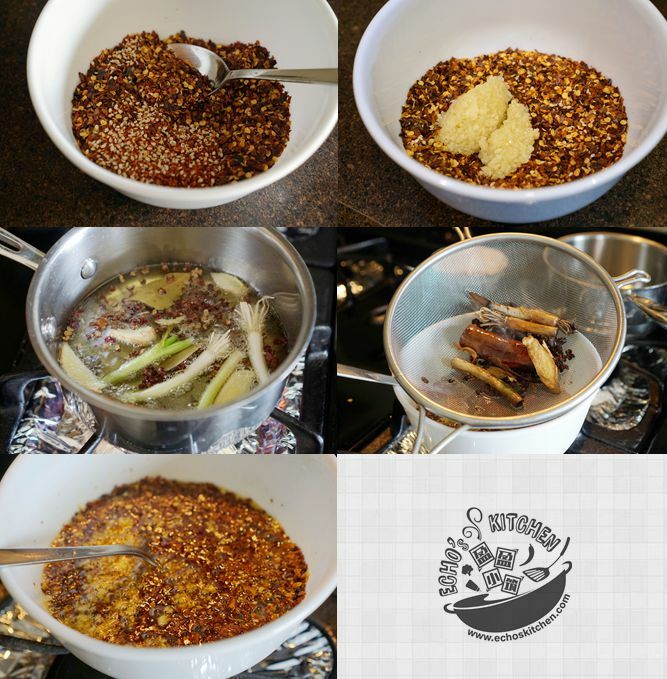 Place Chili flakes, Chili Powder, Sesame Seeds and minced garlic in a stainless steel or ceramic bowl. 2. Place a sauce pan on stove, add oil and all spices in the pan, cook at medium low heat for about 8-10 minutes, when the spring onion turning golden brown. The spices infused oil is ready. 3. 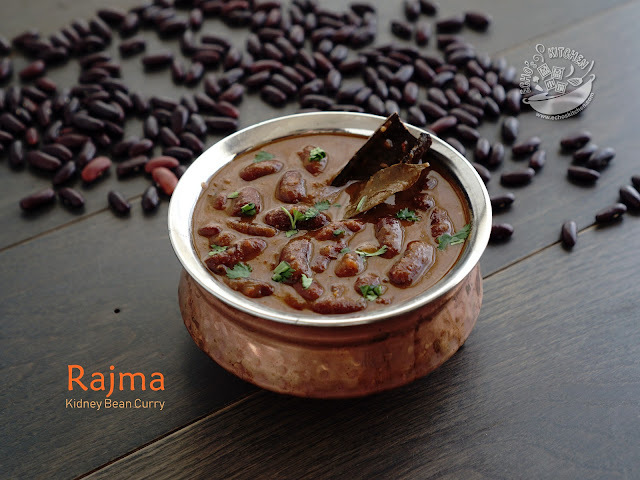 Place a stainless steel sieve over the bowl with Chili powder, pour 1/2 of the hot oil over Chili powder, return the sauce pan back on stove and heat up for 1 more minute. 4. Stir the Chili powder with oil before pouring the remaining hot oil into the bowl. When it is cooled, add Granulated Bouillon Chicken and stir well. 5. Store the Chili oil in airtight container, it should stay good in room temperature for 2 weeks.